Dr. Cheryl Nickerson is internationally recognized for her pioneering research in utilizing the microgravity environment of spaceflight as a unique research platform to provide novel insight into how physical forces dictate the outcome of host-pathogen interactions that lead to infectious disease. Her landmark spaceflight experiments aboard the NASA Space Shuttle and International Space Station/ISS, along with use of NASA designed ground-based microgravity analogues, have placed her work at the forefront of the field of Cellular Biomechanics. Her team’s discovery that spaceflight uniquely alters global gene expression profiles and increases the virulence of Salmonella, laid the foundation for use of the microgravity research platform for modern microbiological research in spaceflight and commercial spaceflight vaccine development initiatives. Her multidisciplinary research focuses on microbial and human cellular responses to the physical forces of fluid shear and gravity, which are relevant to those encountered during their natural lifecycles on Earth. Dr. Nickerson discovered that cellular and molecular responses to these forces are relevant to infectious disease processes in novel ways that cannot be observed using traditional experimental approaches. 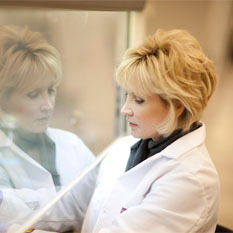 Her discoveries of unique changes in the disease-causing potential of microbial pathogens and bioengineering of advanced three-dimensional (3-D) organotypic models of human tissues to study infectious disease and drug/therapeutic development, have resulted in a paradigm shift in how we view the infection process from the host-pathogen perspective. She is also actively engaged in multidisciplinary collaborations for the practical application of 3-D tissue constructs for regenerative medicine and transplant surgery. Dr. Nickerson’s research is recognized internationally and she is a pioneer in spaceflight biosciences and has received several prestigious awards for her research, including the Presidential Early Career Award for Scientists and Engineers (PECASE), NASA’s Exceptional Scientific Achievement Medal, and was selected as a NASA Astronaut candidate finalist. She has also testified before Congress regarding the potential of the microgravity research platform for next generation advances in biomedical research. Her research has flown on numerous NASA Shuttle missions and the International Space Station, and continues on upcoming SpaceX flight experiments. 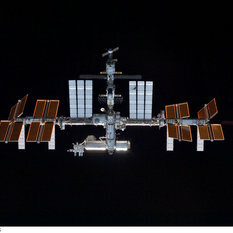 In addition, Dr. Nickerson’s ground-breaking spaceflight biomedical research enabled the establishment of a rare Space Act Agreement between ASU and NASA to use the ISS National Laboratory for commercially-funded Biomedical Research. You may have heard that the sometimes deadly Salmonella bacterium becomes stronger in microgravity. Cheryl Nickerson tell us about this and other results her team has conducted in low Earth orbit.